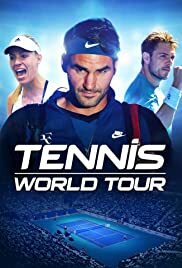 Tennis World Tour is a tennis sports game developed by Breakpoint Studio and published by Bigben Interactive for Nintendo Switch, Playstation 4, Xbox One and Microsoft Windows. Tennis World Tour is a game that never should have been released in it's current state. The core gameplay is a mess. There are numerous examples of pressing buttons and getting a different response, therefore the one aspect that should be unilaterally perfect is broken. PS3-level graphics don't help, online play is currently unavailable and the player creator is amateurish at best. Do yourself a favor and wait until the finished game is re-released next year.